IDRC supports Strategic Evaluation on Research Excellence, a three-phase project that aims to define and articulate what research excellence means in a research for development (R4D) context. Existing tools and approaches for assessing research excellence in R4D were also reviewed and innovations were identified that could be tested. Following on these explorations, the Research Quality Plus (RQ+) Assessment Instrument was developed during phase two of the project. Key influences that have significant potential to affect the quality of research for development that must be considered as part of the assessment. Dimensions and sub-dimensions that characterize research quality, as relevant in the context of IDRC-funded research for development. Ratings on a scale defined by rubrics, to indicate the level at which a project performs per dimension or sub-dimension. 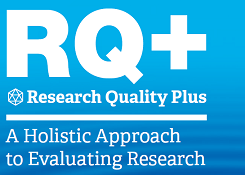 The RQ+ instrument is intended to push forward the debate on research quality assessment and be a useful contribution to the challenging task of research evaluation in an international development context.